Now that I’m back at university for my final year, it’s about time I shared with you all my favourite eating and drinking spots in the delightful seaside town of Bournemouth. 7 Bone was created by two guys, Matt and Rich, who had a “passion for American comfort food and great service”. I first found the Bournemouth “dive” in my first year, looking for an alternative to the tasteless and dry burgers from our local ‘spoons. They don’t accept table bookings (unless you’re a group of 6 or over) so it’s certainly a matter of luck and clever timing if to walk in and be seated straight away. However, the quick service pretty much guarantees a seat within half an hour. 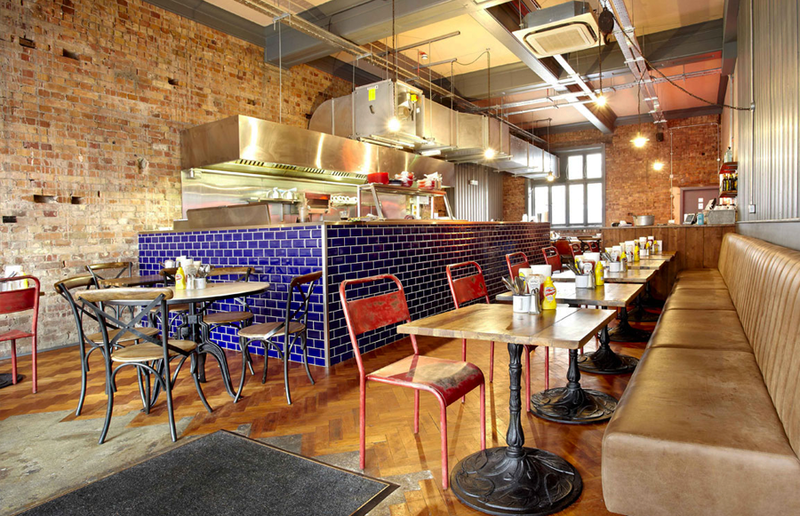 After having many a burger at different diners, burger joints and restaurants around London, none seem to match up fully to my favourites at 7 Bone. A visit to 7 Bone more or less demands trying their classic ‘Prince Charles is Overrated’ Burger, which features an aged beef patty (cooked to your preference, mine being medium), bacon, cheese, shredded iceberg, pickles, dirty spread. If your ideal burger would be described as juicy, moreish and perfectly flavoured then this is the choice for you. But if the ‘Prince Charles’ isn’t for you there are plenty of other options to choose from. 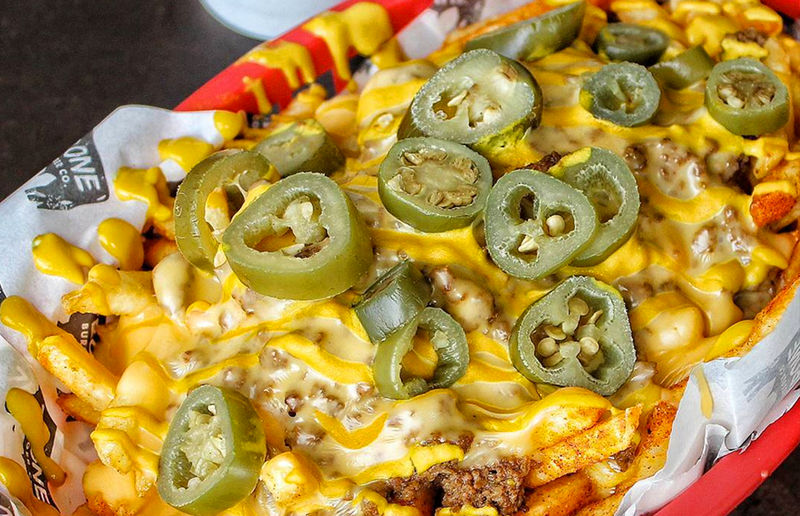 When it comes to side dishes, for me, there is only one choice and that is their sensational chilli cheese fries; made with steak chilli, cheese, mustard and jalapeños. If chilli is a bit too spicy for your tastebuds (get a grip) then their dirty fries are just as fulfilling, and thanks to their Red Basket Meal Deal you can get any 6oz burger, dog, sandwich or melt, plus a small portion of one of their sides for £9.50. Unless you have a bottomless stomach like me, that will be plenty! To finish off, if you love a cocktail, 7 Bone’s ‘End Game’ secret recipe cocktail is packed full of rum and passion fruit goodness! Allegedly a maximum of two of these are allowed per person, however if you’re ambitious and not the designated driver, go for a third one… They are incredible. If you fancy paying them a visit you can find their website here. They are located in both Bournemouth (BH1 2AN) and Southampton (SO17 2FW).